Lorna Peelo-Kilroe and Angie Titchen are critical-creative companions within a PhD supervision relationship. Lorna has worked as a nurse for over 25 years and has been a practice developer for 10 years with a major interest in transformational approaches to developing workplace cultures. She has recently started a PhD at Queen Margaret University in Edinburgh. Her focus is on human flourishing, critical creativity and critical companionship within a strategic development of End of Life Care in the Republic of Ireland. Angie is one of Lorna’s PhD supervisors and has had over 24 years practice development and research experience. Critical companionship and professional artistry emerged from her doctoral research and have been the foundation of her work since then. With Brendan McCormack and colleagues in the International Practice Development Collaborative, she developed the new worldview of critical creativity.. In this blog post we want to share the story of our co-inquiry as critical-creative companions. Lorna’s inquiry question concerns how the research paradigm of critical creativity will hold her philosophical, theoretical and methodological assumptions together in her PhD study. Angie’s question is about what she does, as a critical creative companion, to help Lorna to work effectively with her own question. 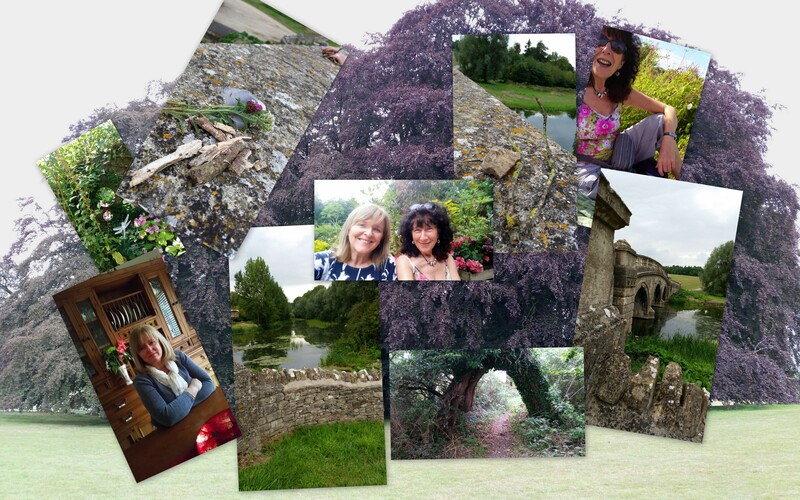 As most of our supervision is done at a distance through Skype or teleconference, we are establishing a tradition of an annual creative retreat together at Angie’s home in the Cotswolds in England. Lorna picks up the story. Now Angie reflects on her experience of being a critical-creative companion to Lorna. Just one year on at our second retreat and I am making huge progress. I am automatically thinking in a different way about learning and development. I trust my intuitive knowing more and notice that I listen to what it tells me when I am problem solving in my facilitation of practice development or simply learning something new. 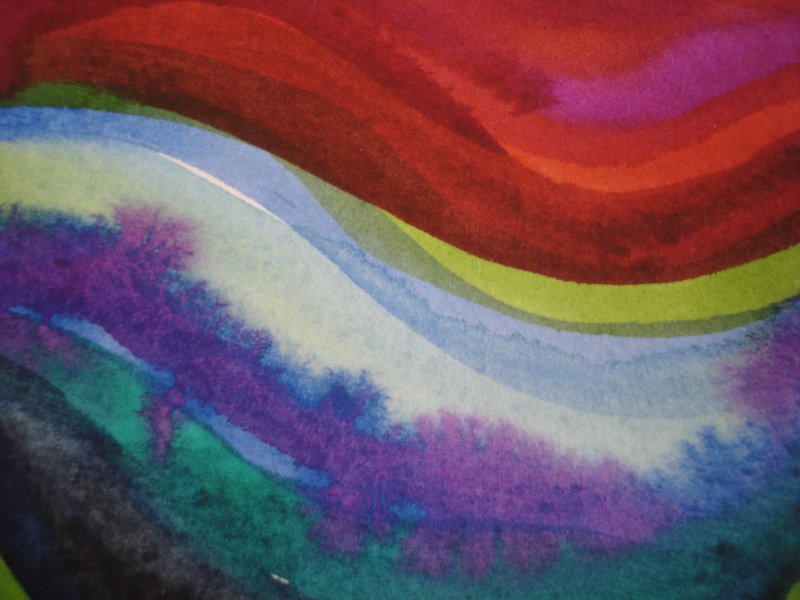 My growing understanding of critical creativity has opened up my thinking and I am learning how to engage at many levels with all the ways we learn; through mind, body, spirit and connection with our ecological world and ancient traditions. My reflection of Riding the Heron below demonstrates a new and exciting experience in learning through visualisation guided by my skilled critical creative companion, Angie. As a preparation, over the last year, for designing my action-oriented PhD research study with participants in the strategic development of End of Life services, I have been exploring ancient philosophy and in particular virtue ethics. I have been interested to find out how we can use virtue ethics in practice to guide our moral thinking and judgements and link into our inner wisdom. Now I am trying to tie all this in with my research design and in particular the philosophical assumptions that I will be using in the design and conduct of my research. I have learned a lot this year and there is a lot more to learn! My inquiry question at the retreat this year was around how research might look in different research paradigms. Angie wanted to continue her inquiry into how she did critical-creative companionship. On the first day, Angie took me to the grounds of Blenheim Palace. There she offered to take me through a guided visualisation to help me explore, through my creative imagination, the different worldviews and assumptions that underpin different kinds of research. Here is my reflection and learning from that experience. Flying through spaces in the imagination provides powerful images of understanding and insight. 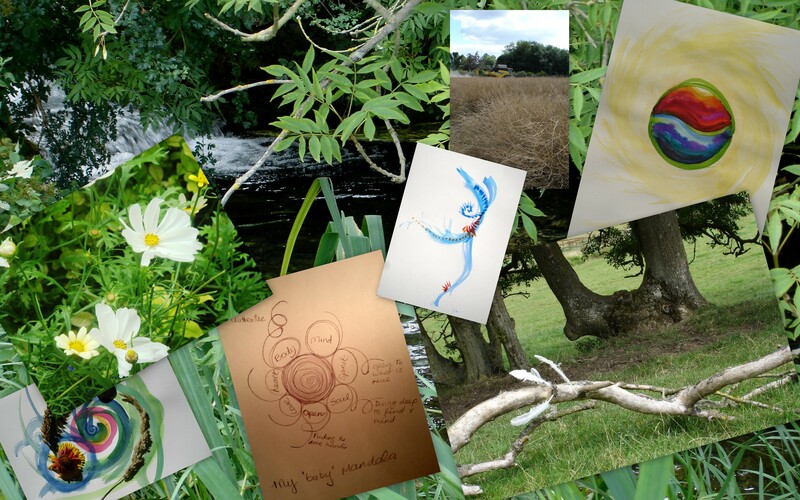 This was my experience when I undertook this exercise in the beautiful Cotswolds with Dr Angie Titchen, my critical creative companion as part of our creative retreat. We are using critical creativity approaches to increase my understanding of how the paradigm of critical creativity can support and hold my methodological and philosophical assumptions together. I also wanted to distinguish the different research landscapes from the paradigm of critical creativity. Angie, as an experienced critical creative companion and skilled facilitator wanted to explore ways to support me in my quest. Angie and I set out on a reflective walk to River Evenlode which flows through the grounds of Blenheim Palace. Angie and I have undertaken several reflective walks together and we have established a general preference for how we like to walk together. Based on the Critical Companionship Framework (Titchen, 2000, 2004) we agreed how we would structure our walk – mutuality, agreed a time frame and signal for the stages of our walk – temporality, and because Angie knows my learning styles – saliency and particularity, I was able to confidently start walking knowing our agreed signals for transitioning and how we would stay in touch – reciprocity enabling independent exploration of our landscape. Although this may sound quite obvious and straightforward it is in fact quite a sophisticated process because showing consideration for each other and our needs enables a much richer reflection. In my case I didn’t have to lead or follow and could be confident that I wouldn’t ‘get lost’ in unfamiliar surroundings or that I have to keep up. I could go at my own pace and experience my reflection in mind, body and spirit; a whole body experience. A lovely sense of completely letting go and experiencing everything that is available to me and that is a liberating experience in itself. I only noticed when I reflected back on my walks that I use some skills that I have developed when I am in work. I ‘dabble’ in mindfulness, initially as a way of calming my thoughts and capturing my feelings in a grounding way, particularly in times of pressure or stress. Although I am not proclaiming any level of expertise in mindfulness I have a rudimentary understanding and appreciation of the benefits particularly at times when I am under pressure or when I am generally feeling anxious. A lovely feeling of relaxation and curiosity takes over when I engage in reflective walking. I focus on almost disengaging from my cognitive brain and avoid trying to make sense of what I see and feel. I just let it be what it is in the moment, a breeze, crunching of earth and foliage underfoot or the sight and sound of perhaps a river or birds and insects singing and humming. I am aware that I have questions I want to find answers to, but I want to find out in a different way, so that my learning can be internalised and not forgotten, as is often the case with me when I use my cognitive brain for new academic learning. 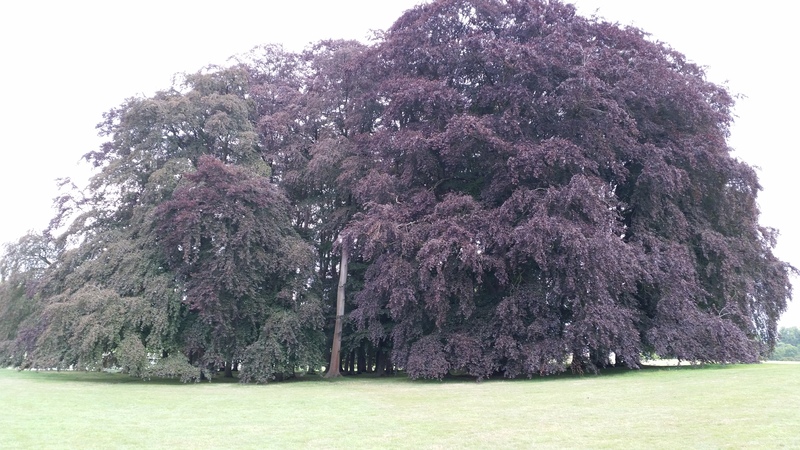 Walking towards the River Evenlode I noticed some beautiful trees that were gracefully imposing on the landscape and represented strength and endurance to me at that time. I walked along the river bank and noticed how still the water was and how much vegetation was growing in the river although it seemed quite deep. There were people sitting by the river and they were quite noisy but somehow the intrusion didn’t derail my reflection. 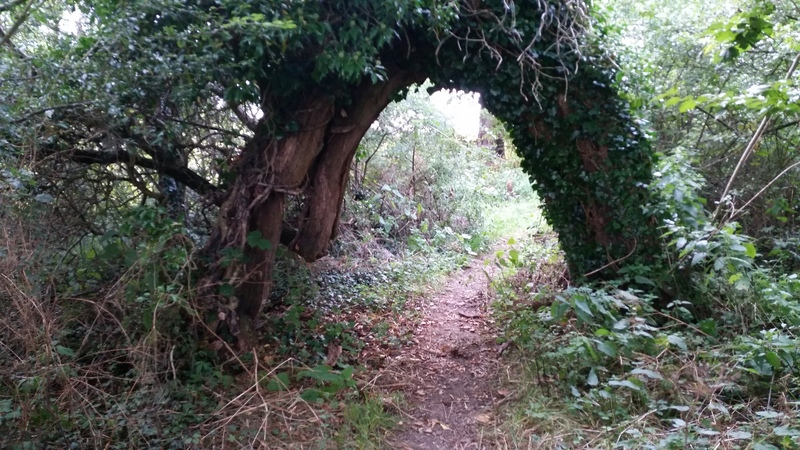 I wanted to get inspiration from nature to understand my metaphysical and theoretical bedrock for my research and let that thought come and go as I walked. 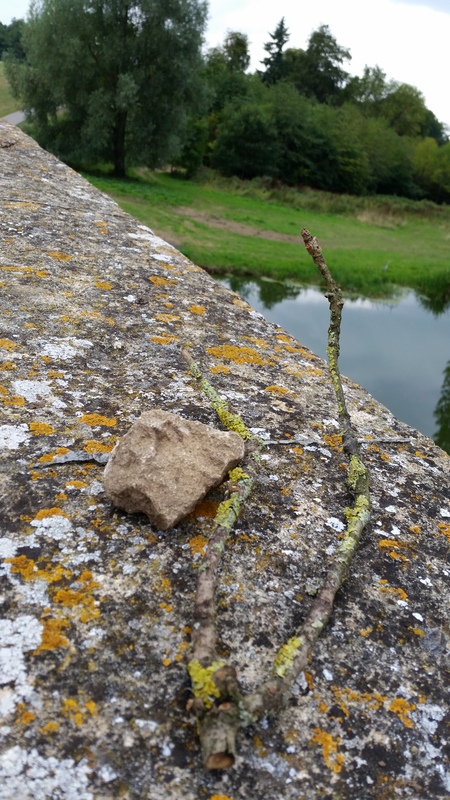 We reached our transitioning point which was at a bridge over the river and along the way I had picked up a twig that was in the shape of a two-pronged fork that symbolised two paths for me. I wasn’t sure whether I needed to choose a path or that I had arrived at the point where both paths met. I picked up a stone that represented consistency, strength and landscape. Angie had collected some symbolic artefacts of nature too and we stopped by the bridge and slowly engaged in conversation sharing our experience of the walk and what our artefacts meant. One of Angie’s artefacts was a heron’s grey feather and she said that this symbolised the main theme of her reflection. 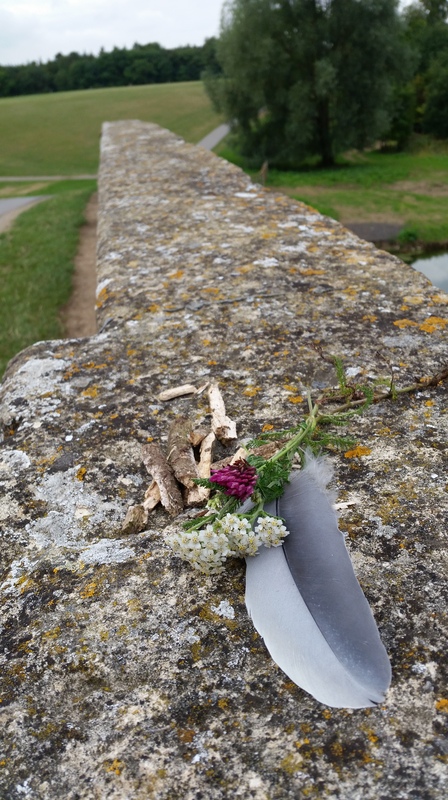 We saw a beautiful heron beside the river at the end of the bridge – perhaps the owner of the feather! After we shared our reflections we prepared to undertake the creative visioning exercise which would explore different worldviews of research by using a metaphor in which the bedrock of each worldview is its philosophical stance, the landscape that it supports is the research paradigm and then within the landscape, the gardens are the research studies. 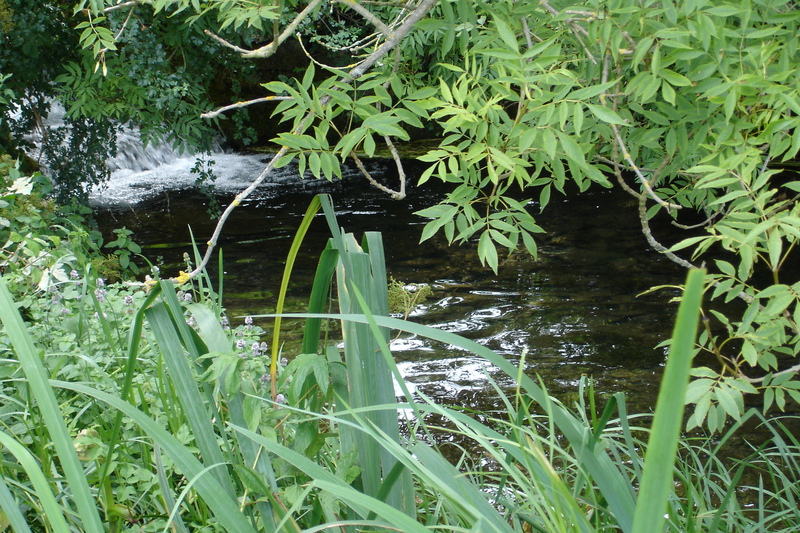 We agreed the location – facing the river with our backs to a tree. We sat down and began the exercise by closing our eyes. Creative visioning was instantly appealing to me. I noticed that as soon as I closed my eyes and Angie started talking me through the journey, I linked almost instantly with my imagination. I can describe it as having one foot in the present and being aware of my body in relation to where I was sitting, and one foot in an imaginary landscape. I was climbing on the back of a huge heron and flying away from the tree I was sitting by, going up into the air and away into the distance to a technical research landscape. Guiding me through the journey, Angie asked me to experience the flight imaginatively with all my senses. When I had reached the technical bedrock, she asked me what I could see. I didn’t have to answer her questions, I just had to use my imagination to picture what I was looking at and engage all of myself in the experience, for example, the sound of Angie’s voice, the noises taking place around us, the breeze blowing gently, and how I was feeling. What was the bedrock like? What was the landscape garden like? I knew I was engaging in the exercise because I could see the bedrock as grey and uniform. Then the landscape garden was grey too and sterile looking. Individuals working in the garden looking robotic and trying to prop up lifeless plants in a sterile soil. Getting back on the heron’s back I was flying away to another landscape – a transformational bedrock and landscape garden. The contrast to the technical image was huge. The transformational garden was colourful and lively with people interacting together and happily attending their growing plants. I imagined that they were actually transforming the garden as they worked. The whole atmosphere here was one of freedom, energy and engagement. To bring the visioning exercise to a close I imagined that my heron transported me back to the tree where I was sitting and we then slowly opened our eyes to return to the present. We shared our visioning experience and how we had experienced our landscapes. In my vision of a technical garden I saw people working hard and using all their energy on trying to get plants to grow. Making things grow was the fundamental aim in the technical garden and not, for example painting the fence. However the essential ingredients of moisture and heat were missing and the soil was barren and grey, so the task was almost impossible and unfortunately the gardeners couldn’t see this. If the fundamental aim in the garden was to paint the fences then the essential ingredients would be a fence, paint, brushes and individuals to do the painting. A researcher would be looking at perhaps the quality of the paint or brushes or perhaps how long the job takes. There may be a focus on how the job was planned and levels of satisfaction with the job. But my research study with its philosophical bedrock of virture ethics and a research landscape (paradigm) with an emphasis on transformation and human flourishing did not seem to fit in to my image of how that my research landscape and garden might look. The overall feeling in the technical garden was one of disappointment and resignation and it wasn’t a place that I wanted to linger in for long. Interestingly on reflection, if the tasks were different in the technical garden, not focused on growing things in barren soil, then I could see perhaps a more appealing landscape where fences were nicely maintained and objects or ornamental features could be introduces that would make it more appealing. This underlined the importance for me of choosing the right philosophical underpinnings for my study, based on my purpose and context. It was important to choose well because these underpinnings would hold my research together as it progresses. My vision in the transformational garden was in stark contrast to the technical garden. A strong vision that wasn’t orderly or sterile but a blaze of colour and activity. The process of transformation was demonstrated by skilled gardeners who were moving together through the garden, planting flowers and shrubs and transforming barren soil that has been prepared to receive plants and seeds. The gardeners were working hard and getting soil on their hands and shoes as they watered and fed the soil and plants. Their skills were demonstrated in an intuitive way. They seemed to know what to do and how to do it as their hands expertly crafted this beautiful garden. The garden looked so natural and in tune with the research landscape. They were planning and exchanging opinions and comments as they worked. In an almost straight line, they were moving together through this huge garden where everything ahead of them barren. But everything they touched and planted was growing. Along with the liveliness and colour that the gardeners were creating there was an atmosphere of joy and satisfaction. This was conveyed in their confident skill in what they were doing. I wanted to linger here for a while longer because the atmosphere was so appealing to me. This visioning exercise enabled me to picture in a deep and powerful way what my research philosophical underpinnings might look like. Also, at a very profound level, I understood the significance of whole body engagement and bringing in creative and ancient ways of knowing, as well as rational, cognitive ways of knowing, so that we can bring the whole of ourselves to our research and practice development. This consolidated, for me, my decision that critical creativity with its focus on transformation and human flourishing was congruent with virtue ethics and would, therefore, be my research paradigm. Titchen et. al. (2011:4) describe critical creativity as “a paradigmatic synthesis in which the assumptions of critical social science are blended and balanced with, and attuned to, creative and ancient traditions and the natural world, for the purpose of human flourishing”. Titchen and Horsfall (2011) maintain that a critical worldview of research alone won’t support transformation of practice research. It requires a focus on being critical and at the same time on being creative, and using our whole selves to transform practice. The critical creative paradigm enables human flourishing in just this way through the body, creative imagination, nature, beauty and the sacred as well as through the critical mind (Titchen and McCormack, 2010). And why through the body, creative imagination, nature, sacred knowing and beauty? Because, from my growing understanding, I believe that we have many of the answers to our questions within us that we have yet to unlock and discover. McCormack and Titchen (2006) maintain that the critical creative paradigm attempts to enable, empower, democratise and emancipate and uses hermeneutics to discover unconscious pre-reflective knowing. Linking with our inner selves, mind, body, heart and soul and the ethical virtues we have developed enables us to fully engage with our whole selves. By using creative ways of learning we are enabled to discover what some would say we already know – the yet to be discovered knowledge that we all have within. Therefore emotions, spirituality, aesthetic and creative knowing and imagination are important and significant to our development and practice and our choice of research methodology. We are only propping up existing structures if we try to develop cultures using technical approaches. We can not engage in transformational research without using the congruent philosophical underpinnings that will hold and carry the research study. 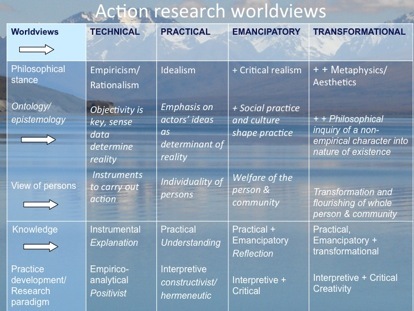 I have found the slide below about action-oriented research very useful in pin-pointing my worldview. The slide has helped me to cognitively process my learning in relation to research world views. Combining this cognitive learning with my Riding the Heron experiential learning, I can now say, from a deeper understanding, that my research study is in a transformational worldview. We, my supervision team and I, think that virtue ethics fits under the broad philosophical stances of metaphysics and aesthetics and that philosophical assumptions drawn from virtue ethics do blend and meld with those of the research paradigm of critical creativity. After working with all aspects of myself, I am much more confident that the research paradigm of critical creativity will enable the capturing of whole body engagement. It will also support the exploration of cultures and systems right to the roots and opportunities for transformation and human flourishing. Now I know that this understanding will stay with me. It is no longer scary and, as Angie says, it is now embodied in me. Currently, I am exploring virtue ethics as the philosophical stance and I am finding that it fits very well with my belief that we have character virtues that have the potential to enable us as rational human beings to know the right thing to do and to become expert in doing the right thing. This knowing comes from a process of developing moral and practical wisdom, as we grow and mature into adults supported by our character virtues. For example we may feel that we have a strong sense of compassion or justice or generosity, three of the many virtues we may have. According to Aristotle, who developed the notion of virtue ethics, when we develop the practical and moral wisdom to support our virtues we become excellent in using them. When we become excellent then there is no time when we would not choose to be just or compassionate or generous and it is in applying our virtues in our everyday life that we flourish. The wonderful thing about virtue ethics is that one is never too late to develop them and that they are then available to us in all facets of our lives to help us to be more fulfilled. This fits very well for me with using our whole selves as with critical creativity and I am excited now to have the opportunity to continue building on this combination in my research study. Thank you Angie for this enlightening and stimulating experience and for being my critical creative companion. 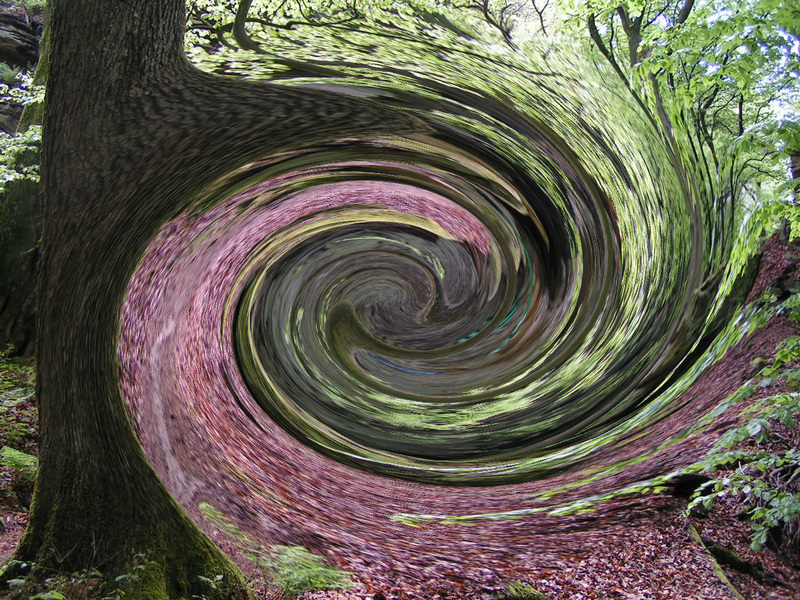 Titchen, A., Horsfall, D, (2011) Creative Research Landscapes and Gardening. In: Creative Spaces for Quantitative Researching. Living Research. (Eds) Higgs, J., Titchen, A., Horsfall, D., Bridges, D. The Netherlands: Sense Publishers. McCormack, B., Titchen, A. (2006) Critical creativity: Melding, exploding, blending. Education Action Research: An International Journal 14(2), 239-266. Titchen, A. (2004) Helping relationships for practice development critical companionship. In: Practice Development in Nursing (Eds) McCormack, B., Manley, K., Garbett, R. Oxford: Blackwell Publishing. Titchen, A., McCormack, B., Wilson, V., Solman, A. (2011) Human flourishing through body, creative imagination and reflection. International Practice Development Journal 1(1) 1-17. Angie takes up the story, Before we arrived at Blenheim Palace, I knew that Lorna wanted to explore the slide that she presents in her reflection above. Together, we (Lorna’s supervision team) have used the slide to help Lorna to identify where her research on human flourishing in a strategic nursing context is located philosophically in terms of her research methodology and in relation to the topic of her research, that is, human flourishing. I wanted to help her explore the essence of the slide in a creative way and I had no idea how I might do that when we entered the gates of Blenheim Palace. I wasn’t worried though because I knew that if we walked in contemplative silence by the lake, using all our senses, it would just come to me effortlessly. In other words, I would be living the methodological principle of critical creativity of ‘creative effectiveness’. And, of course, after bringing myself to be truly present in this moment through getting out of my head and into my body, it came in a flash. Knowing that Lorna learns through using imagery and her creative imagination, I would suggest doing a creative visualisation of the different research landscapes seen from the air, but first, we shared our creative expressions on the bridge over the river as Lorna has just described. Then I saw the heron. 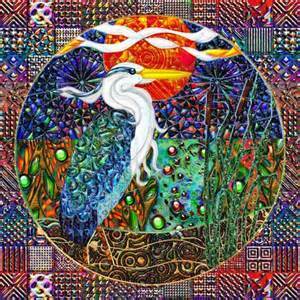 Yes, I said to myself, we will ride the heron on a mythical journey! Once sitting at the base of the ancient tree and leaning on the trunk, we closed our eyes and I began. My voice tone was deliberately soft and slow to give Lorna time to imagine climbing onto the bird’s huge back and taking her far away. Actually, I also imagined that I was riding behind her and holding lightly onto her waist! In that beautiful mythical space, I was able, not only to keep opening my eyes to check that Lorna was OK, but also to go on my own journey to the different bedrocks, landscapes and gardens. As we rose up into the sky, I could feel the slow rippling energy of the heron’s muscles. I could hear her wings beating through the air, feel the powerful air currents each beat created and smell the river as we climbed. I was astonished to find that I had unconsciously crossed my hands in front of my chest and they had become the beating wings. My voice moved to the same slow beat. Perhaps I was expressing through my body the ancient memory, locked away in our DNA, of being a bird. At the very least, I was connecting with nature and archetypal myth. Later, in critical-creative dialogue with Lorna under the tree, I told her that it reminded me of the young heroine, Lyra, in Philip Pullman’s archetypal Dark Materials Trilogy who also rode the back of a giant bird to a distant land. It all may sound crazy, a magical fantasy, yes, but it was a really deep experience and an important one too. First, it helped Lorna to recognise the importance of being aware of what our bodies are telling us in our everyday work. Second, she appears to have had a perspective transformation (Mezirow, 1981) about the slide that she had been struggling with for some months as she tried to make sense of how she needed to design her study on congruent philosophical, theoretical and methodological principles. She is now in a position where she can see that attending to this congruence will shape her roles and relationships and the way she carries out the study. Her supervision team will encourage Lorna to explore the assumptions underpinning each aspect so that she can make choices that are congruent or consistent with the assumptions of virtue ethics and critical creativity. On reflection now, I am struck that, in my visualisation, I was behind Lorna and holding her only lightly. There was no doubt, I was there and not left on the ground watching her fly away!!! As her critical-creative companion at this stage in her research journey, I needed to watch out for her, but also create spaces for her to take risks and step into the unknown. The day before, we had experienced taking such risks with just enough support and Lorna had talked about trust. She tells that story now. Mezirow J. (1981) A critical theory of adult learning and education. Adult Education 32(1), 3-24. The day before the creative visualisation, Angie had taken me on a guided walk deep in the Cotswolds. She suggested that we could experiment with walking with our eyes closed so that we could explore being truly present in the moment by really opening up our other senses. For most of us and for me, sight is the key sense through which we perceive the world, So Angie offered to guide me so that I could experience what this opening of the other senses did to me. When I got home back in Ireland, I made this video of my experience of this walk as part of our inquiries. I describe the importance of trust between critical-creative companions to do this kind of work together. Have a look if you are interested. After the walk, Angie had talked about how opening up the senses in this kind of way can help us to pay more attention to our bodies in our work life and how we can access our inner power through the body and imagination. How wonderful this is…I can see you both flourishing through your critical companionship. Thank you, Michele! We are working on posting more about what we are doing together. Thank you, Brighide, what a beautiful thing to say! This kind of co-inquiry learning is such a joy and so enriching. Thank you Michele and Brighide for your lovely comments. It is wonderful that Angie and I were enabled to captured our deeply felt meaning from the experiences of critical creative companionship.